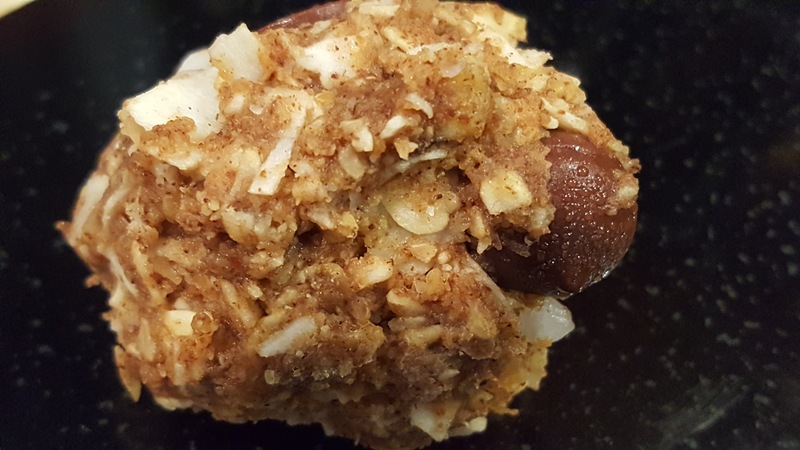 After many fueling experiments from my own marathon training and long distance bicycling, I’ve created an energy snack that doesn’t spike my sugar, keeps my energy level high, keeps my weight in-check, tastes great and REALLY is healthy. So, if you’re wondering about consuming unhealthy sugary goo’s and drinks while you’re trying to stay fit — this recipe is for you. Easy to make, no baking and REAL ingredients that sustain you. Research on ultra distance athletes, shows that athletes who place multiple hours of demand on their bodies have learned something about fueling that the sport performance industry hasn’t been sharing. They fuel with far LESS sugars, and their bodies burn FAT. Ever notice how easy it is to gain weight despite a 2-3 hour run, or a 5+ hour bicycle ride? Perhaps those 100 calorie sugary goo’s, sugary energy bars, or sugary energy drinks are just adding to your waistline? The human body naturally has more fat stores than carbohydrate storage (glycogen) . Try this recipe for your next long-run or long-bike ride to see if you notice a difference. Sample of course on a shorter run or ride just to make sure your stomach is happy. IF you want to wean yourself off of the sugars, give this a go. For more sweet in this recipe, you can substitute honey instead of the unsweetened applesauce. Cinnamon is a great touch — aids in exercise recovery and regulates blood sugar. These cinnamon almond butter no-bake energy bites taste just like a cookie, although they are full of protein and healthy fats. Very low on the sugar, and long on the energy fueling. Great for distance runs, biking and an afternoon snack without spiking your blood sugar. Mash all of the above in a mixer. Then roll into small squares and put in container in fridge. Wrap in plastic or foil to carry in a fuel belt. It will last weeks in the fridge, but guessing you’ll have eaten them all before that! Thanks, Jane. It looks delicious. Thanks, Jane. Looks delicious; I’m drooling.